You and your spouse get a divorce. Divorce means your children have two homes with two parents caring for the children at different times. It is important that children have healthcare insurance when in the care of both parents. Accomplishing this can be complicated and will play a large role during divorce settlement negotiations. What you will have to determine is how you both will work together to maintain healthcare insurance for your children. Who Is Responsible for Making Sure Your Child Has Coverage? Will you be responsible; will your ex-spouse be responsible? This could depend on whether one or the other of you have group health coverage through your employer. If group health isn’t available you will want to decide how you plan to keep your child covered and who will bear the cost. If insurance has to be purchased both parents could share in the cost with each sharing in a certain portion of the co-pays. The important thing is that you negotiate this issue and then get it in writing in your final divorce decree. What if both parents have group coverage through their work? Double coverage on both plans means your child is protected no matter which parent they are with. The coverage plans would be designated as “primary” and “secondary.” The secondary plan would cover many of the costs that are not covered by the primary plan. All you need to do is decide which parent carries the primary plan and most insurance companies have a formula or rule that will help in making the decision. What If Your Child Has a Pre-Existing Medical Condition? Thanks to the Affordable Care Act this is no longer an issue. You can get health coverage for your child regardless of pre-existing medical conditions. Who Will Be Responsible for Co-Pays? Along with who is responsible for health care coverage, who pays co-pays should also be decided during this aspect of your divorce negotiations. Most parents choose to pay a percentage of all co-pays. For example, the custodial mother may be responsible 25% of out of pocket medical expenses and the non-custodial father responsible for 75% of out of pocket medical expenses. This figure is normally based on which parent can afford to take on the most cost. Be warned, though, just because it is written into a final decree of divorce does not mean either parent will follow through with what has been agreed upon. 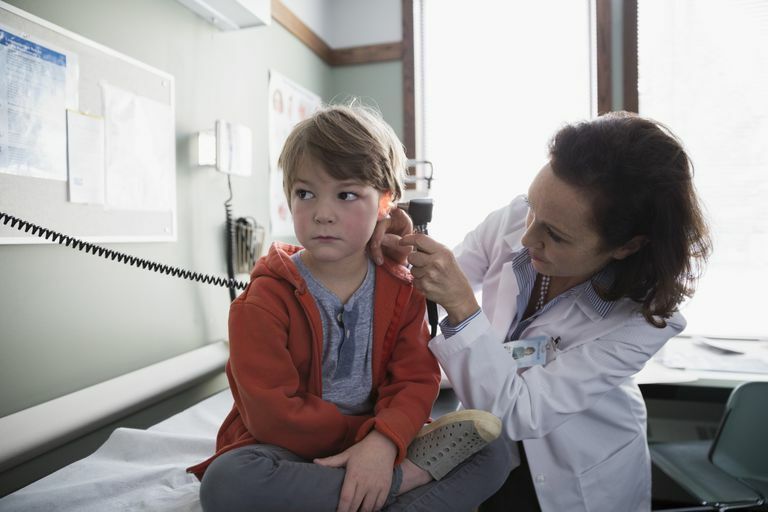 Once you and your ex-spouse come to an agreement about who pays what amount against co-pays you need to make a contract with your child’s doctor. The billing office at your child’s doctor’s office isn’t concerned with what your final divorce decree states. They are concerned with getting the money owed them. If you are the person taking the child to the doctor, they will consider you the person responsible for paying co-pays and will expect you to pay them in full. They won’t bill you for a portion of out of pocket expenses and then bill your ex-spouse for his/her portion unless a contract is on file with the billing office. That contract should state that you both be billed separately for a pre-determined percentage of the bill and the contract needs to be signed by both parents. Doing this keeps either parent from being held responsible if the other parent refuses to pay the agreed amount toward the co-pay. It keeps the billing office from coming after you and, if you are unable to pay it keeps them from being able to turn you over to collections or, worse, reporting the debt to your credit report.